Chesley Burnett "Sully" Sullenberger III is an American airline transport pilot (ATP), safety expert, and accident investigator from Danville, California,who successfully carried out the emergency ditching of US Airways Flight 1549 in the Hudson River, offshore from Manhattan, New York City, on January 15, 2009, thus saving the lives of the 155 people on the aircraft. He is an international speaker on airline safety and has helped develop new protocols for airline safety. 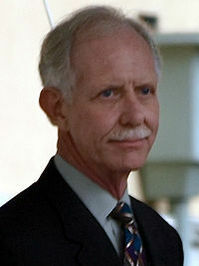 As of September 30, 2009, Sullenberger is also the co-chairman of the EAA's Young Eagles youth introduction-to-aviation program. Is this you? Let us know. If not, help out and invite Chesley to Goodreads.